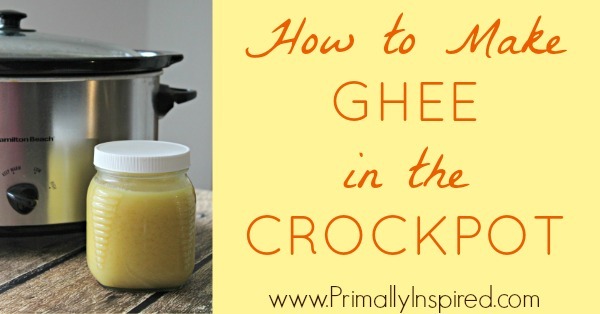 Today I’m going to share a simple, step-by-step tutorial on how to make ghee in the crockpot. Have you ever had ghee? I didn’t even know what ghee was until about 2 years ago! Once I had it, I was in love. It’s rich and buttery and has a slightly sweet, almost nutty taste. It’s divine. Ghee is very similar to clarified butter, but the difference is that ghee is cooked a little longer so that the milk solids start to brown, giving it a slightly sweet and nutty aroma and taste. It is made entirely of butter, but when the butter is heated to make ghee, the water evaporates and the milk solids start to separate and then turn brown. You can skim those brown milk solids off and you’ll be left with beautiful golden ghee (liquid gold!). Many people who are intolerant to dairy can consume ghee with no negative reactions because the milk solids have been removed! About a year ago, I finally stopped lying to myself and faced the fact that I was indeed dairy intolerant. For someone who loves butter, cheese and ice cream as much as I do, this was a really hard fact to face. But ghee has been a lifesaver for me! I can consume ghee with no negative reactions! And I’m happy to say that I actually like it even better than regular butter. Ghee is considered a power and healing food in many cultures. It’s extremely high in nutrients. It’s rich in vitamins A, D, E, K2. It’s one of the highest natural sources of CLA. Ghee is rich in medium chain fatty acids, which means it’s used immediately as energy and not easily stored as fat. Ghee is excellent for digestion as it stimulates the digestive fires. It’s rich in butyrate which suppresses inflammation in the gut and other tissues. Ghee has a much higher smoke point than butter (485 degrees F vs. 350 degrees F) so ghee is an especially good choice for cooking and frying at high temperatures. Remember if you heat a fat or oil past it’s smoke point, it releases harmful free radicals. Ghee does not spoil easily and has been said to last up to 100 years without refrigeration if sealed in a container and stored in a dark place! Ghee tastes like butter without causing dairy reactions in most people. Ghee is made from butter but the milk solids have been removed so many people who are intolerant to dairy may be fine consuming ghee. Many people make ghee on the stovetop. But that method takes anywhere from 45 minutes to an hour and almost the entire time you have to be standing over the hot stove. I don’t have the patience for that! I much prefer making ghee in my crockpot. 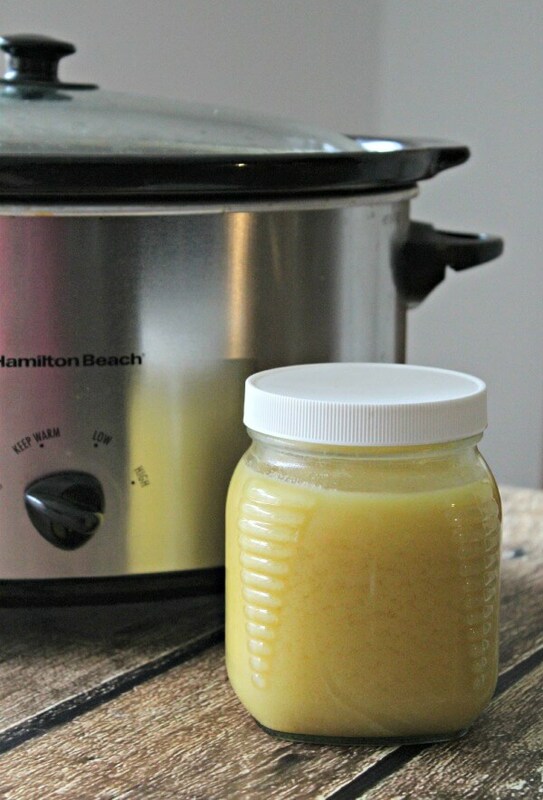 Making ghee in the crock pot is so easy! No standing over anything. 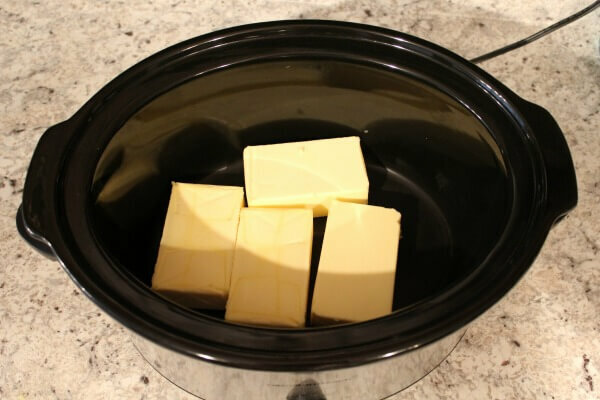 Just dump your butter in the crockpot for a few hours, strain it, and that’s it. Super easy! Now I must warn you that the first time you make it, you should be at home while it’s cooking so you can check it a few times. The first time making it, you’ll need to figure out how long it takes to brown in your crockpot. I have 3 different crock pots and each one takes a different time for the ghee to brown. In one of my crockpots, it takes just 3 hours. My other one takes 7 hours! But once you figure out the timing on your crockpot the first time, you can just dump the butter and set the timer and you’ll never have to look at it until the timer goes off. The amount doesn’t matter. You can use as much or as little as you wish. I usually use 4 blocks (8-ounces each) of KerryGold butter, totaling 32 ounces. You can use salted or unsalted butter. I know most ghee recipes tell you to use unsalted butter, but I actually like using salted butter a bit better. The majority of the salt ends up in the milk solids, leaving the ghee very, very lightly salted. It’s perfect! You may be surprised to find out that you’ll end up with just about the same amount of ghee as the amount of butter you started with. I typically use 32-ounces of butter and I end up almost entirely filling a 32-ounce jar with ghee. Place the butter in your crockpot. Set your crockpot to high and keep it uncovered. The picture below shows the changes you will see as the butter is cooking. The first picture on the left is after about an hour. The butter is starting to completely melt. An hour or so later, you’ll start to see foam gathering on the top. Then you’ll notice the foam start to turn brown. As it turns brown, it will start giving off a very pleasant, almost nutty aroma. After the foam on top starts to turn brown and develops a crust as shown in the last picture collage above, turn off the crockpot. 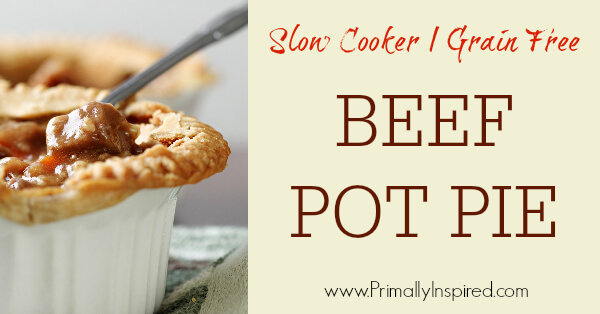 This can take anywhere from 3 hours to 7+ hours, depending on your crockpot. 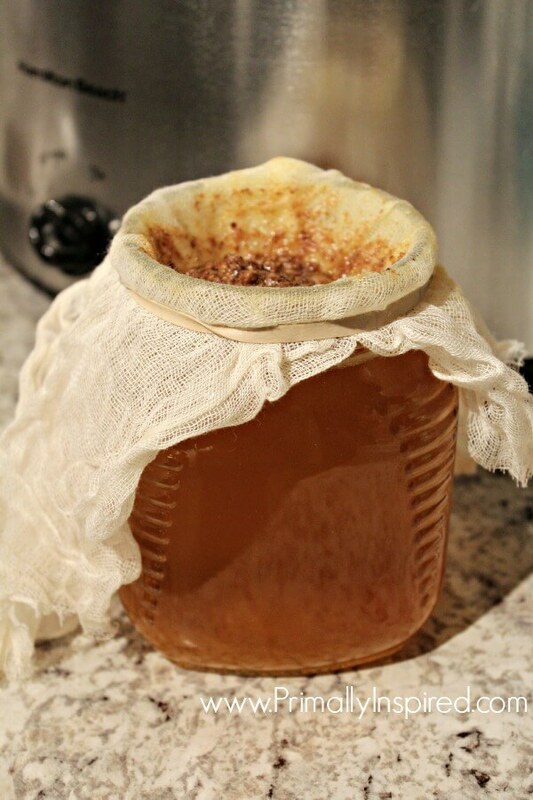 Strain the the liquid into your jar or jars using a double folded cheesecloth, 2 coffee filters or a nut bag. I sometimes strain twice just to make extra sure that all those pesky milk solids are out. If any are remaining, they will float to the top so they will be easy to spot. You can skim them off with a spoon or you can strain the ghee a second time. Look at that beautiful golden liquid! That’s ghee! As it cools, it will turn much lighter in color. Let the ghee cool completely and then put on the lid. There’s no need to refrigerate unless you want to. Ghee will keep in or out of the fridge for many months. The only thing that will cause it to go bad early are if it gets exposed to too much sunlight or air or if it happens to get water in the jar. That’s it! Enjoy your ghee and use it any way you would butter. Since it has a much higher smoke point than butter, I especially love using it for cooking and frying. You can find ghee in stores and online (I like THIS brand), but it’s very expensive. A 32-ounce jar in the store is around $40 compared to about $10 to make it yourself. That’s a big savings! Since it’s so easy to make, why not make your own for much less? I’d like to point out that many people with dairy allergies (which is more common than generally assumed) will react to ghee! Even though ghee has no detectable amount of protein, ghee may still contain traces of the milk protein casein. As many allergy test show, even a minimal amount of an allergen, even an invisible amount of an allergen like pollen, can cause anaphylaxis, a deadly reaction. Stay away from whatever comes out of a cow! When we test people with MRT (muscle response testing) we find those with a dairy allergy will give a weak response even when the nearest milk is 12″ away from the subject. Our method is not to be confused with the phoney allergy testing of the medical system, which has an accuracy of 55%. Where does a person have to go to get this kind of testing? I see my kenisiogist/nutritionist for muscle testing. I have worked in western medicine for the last 21 years, but have strictly followed kenisiology for the last 4+ years. And I am vastly healthier and happier for it. Wow! Thanks for a great tutorial! The step-by-step instructions WITH pictures are so appreciated. We live about 2 hours from anywhere we can buy ghee. Our local store does sell KerryGold butter, so I guess we’ll be trying this out soon:) thanks. You are so welcome, Bonnie! I would like to know where you can buy 32 ounces of Kerry butter for $10.00? Mine usually costs around $5.00 for just eight ounces. Hi Newsitian! At Costco! At my local grocery store it costs $4.99 for just 8 oz of Kerrygold butter, but at Costco you get a pack of 3 8-oz blocks of Kerrygold for $6.99! Crazy, right?! Hi Kelly! I was looking for an easy, fail-proof method for making my own ghee since ordering the teeny jars online gets expensive and I LOVE using the crock pot for anything and everything. So glad I stumbled across your recipe! It was a success!! Hooray for easy peasy and cost effective recipes! How long did it take in the crockpot feature on this post? I have a ceramic crockpot just like that! Hi Frederic! The one is the picture takes a long time – about 6-7 hours! Hello, i made ghee with this method but my ghee never got solid. I’m wondering if i didn’t do it right or if my house just hasn’t gotten cool enough since it’s summer (no ac:-/ ) I don’t remember getting much brown on the top of mine. Hello 🙂 I did this how it said, and at first mine was liquid, but as it sat for a few hours it wasn’t anymore. It’s not nearly solid at all, but it’s not totally liquid either. The best way I can describe it, is how when you make bacon the fat is liquid when it’s hot, but when it comes to room temp it turns white and soft… I’m worried that maybe I didn’t do it right and some lactose is still in it? Does it sound like it’s ok, or that I did it wrong? Thanks! 🙂 And and PS either way, it tastes fricking awesome! The store ghee almost ruined it for me, I’m happy I gave making it at home a go, sooooooooo good! I’m living Paleo since about two months now and frequently using ghee now. I already made some (2 stivks of butter) on the stove top. Always having to check and make sure it doesn’t burn makes me crazy! – are 32oz butter just right or to little to make it work? Hi Anja! I have a few different size crockpots — some very large like yours and one very small one and I’ve made ghee in all of them and they’ve all turned out great. 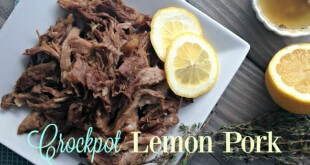 Your crockpot will be perfect for 32 oz. Can the left over solids be used as to have no waste? Yes, Clare – the milk solids from the unsalted butter taste amazing from what I hear (I can’t eat dairy, so I’ve never personally tried them). I use them kind of like a cheese crouton and sprinkle a few on top my husband’s salads. My dog also LOVES them – he thinks they are the best thing ever. But just a warning – if you use salted butter, the salt seems to concentrate in those milk solids and I’ve been told they are waaaaaaay too salty. Ghee, homemade or store bought, is unsafe for people with a dairy allergy. Please correct your article. It is dangerously inaccurate to state otherwise. People die of anaphylactic reactions to dairy. Hi Karen! Thank you for your concern and bringing this up. I agree with you, that it’s not always safe for those with dairy issues. But in many cases it is. In my article I state that it *may* be safe for those with dairy intolerances – not that it definitely or always is. I did update a few sentences to make that point even clearer and I thank you so much for bringing it to my attention! 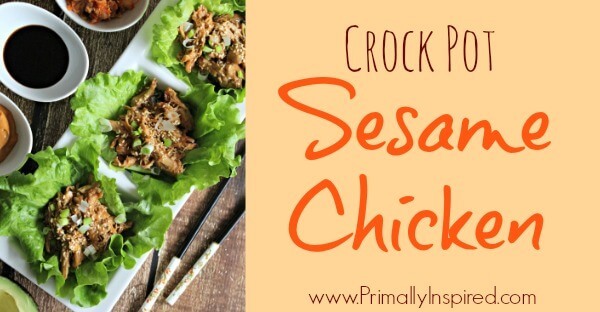 I tried this in my small crock and turned out amazing and in about 3-4 hours. Just made it today in a casserole style crock and has been cooking for 10+ hours, I have only a small amount of the milk solids along the edge and they finally turned brownish and crispy but the rest of the butter is still very clear like melted butter, is this ok? I used land O Lakes unsalted….not sure if that was the difference or if my crock doesn’t get hot enough to separate the solids…. That’s perfectly ok, Tracy! This happens for me, too when I use the different sizes. I think the bigger one is so big that it’s actually the same amount of milk solids, but they are just spread out so much that it seems like a lot less. Also, you’ll probably notice that there are a lot of solids/sediment down at the bottom, too when you use the bigger one. 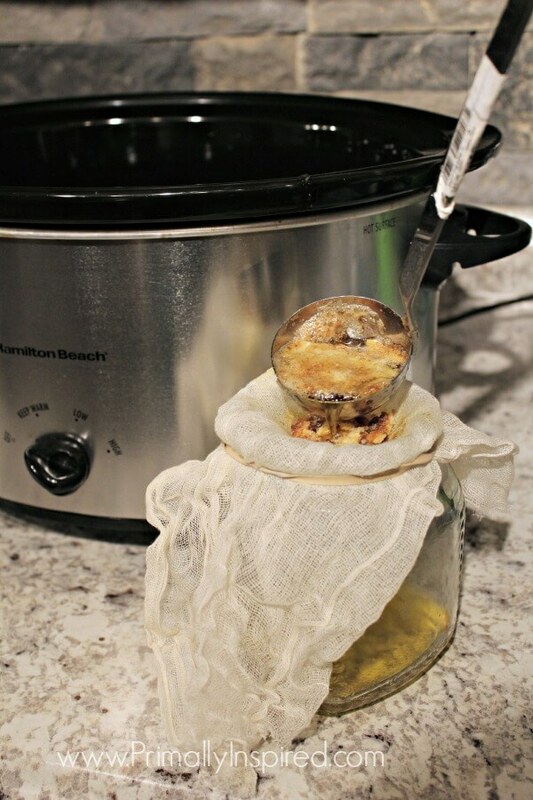 You’ll ultimately get the same amount of ghee no matter what size crockpot you use, though! Can you use a brand other than kerrygold? I bough a bunch of butter around thanksgiving time when it was on sale (store brand) and now I find that I don’t tolerate milk at all, so I have all this butter just sitting in my freezer! would basic store brand butter do the trick for ghee? Yes for sure, Danlynn! That would be perfect. Thank you so much for sharing this recipe. I wasn’t that keen for the ghee I’d bought from an Indian supermarket since it lacked flavour but this I could eat on it’s own it is so tasty and I love the nutty aroma! I live in Australia and made mine in a very large slow cooker with 500 grams (17.5 oz) of salted organic butter from New Zealand. You are right about the solids tasting very salty if it’s not unsulted but I still nibbled on a little 🙂 Next time I’ll use unsalted. I forgot to leave the lid off but it didn’t effect it at all and it only took 4 hours. So great to hear, Sue! Woo! Kelly…thank you…my family loves ghee…….and it’s so easy in the crock pot,,,at Whole Foods a jar of ghee is very expensive….so happy I can save money and make my family happy at the same time!!!!! Yay!!! Makes me so happy to hear! I love Ghee, I can’t wait to make my own. Thanks. So glad you enjoy making it and using it as much as me, Diane! Thanks for the tip about the Kirkland butter – that’s such a great price! I made ghee for the first time, almost out of curiosity, thanks to your tutorial/information. I love it so much and I want to put it on everything. Thank u! I have not brought myself to try Ghee yet cuz it is so expensive… so glad I found this and I can’t wait to try it! 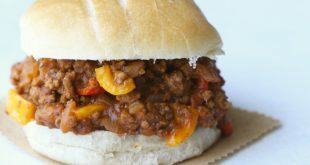 I have used your recipe two times now, both times with great results and I just want to say THANK YOU!!!! The photos were especially helpful in knowing when the ghee was done. Happy to hear this, Ciru! Thank you so much for leaving me a comment! Do you know how to make this in a pressure cooker? I don’t have a slow cooker. I use a pressure cooker for bone broth, not sure if it would be possible to make ghee? Hi Kelly. There are no pictures for reference. Just blank white space. Did you take them down? I rely on checking what I’m doing with the pictures. Thanks. Looking into this, Jan – thank you for letting me know! They should still be there….or at least, I didn’t take them down 🙂 Hopefully I’ll figure out what’s going on soon. Hi! Been doing Whole30 lifestyle since January and loving it! I was buying Ghee at my local grocery store to the tune of $7 + for a 7 oz jar. Was really wanting to make my own due to the cost, but all the recipes seemed too complicated. Came across your recipe using the crockpot. Used a lb of butter I purchased at Aldi for about $3 and made at least 14 oz…twice the amount I was buying at my grocery store. Used my small crock and it was perfect. Haven’t tried it yet, but it looks beautiful and yummy. Thank you so much! Awesome, Anita! So glad it was helpful and easy for you and I hope you enjoy it! This is my second time making this recipe. Love the pictures to show how it looked. Much more confident in making this now. Awesome, Judy, I’m so glad it was helpful! Thank you for your comment! Ghee is basically clarified butter. ALL the milk/fat solids MUST be removed so all that is left is a pale, clear yellow oil. But THIS recipe has me already planning on which day I’ll be making this. I have a lot of butter in the freezer I plan on using! Thank you for sharing this recipe. I think you will love this method, Patricia….sooo easy! Thanks for the comment!